NEW YORK – So long, El Chapo. El Mayo is still around. And El Mencho is on the rise. El Chapo – the internationally notorious drug trafficker born Joaquín Archivaldo Guzmán Loera – faces life in prison for running a continuing criminal enterprise. Federal prosecutors say the Sinaloa drug cartel leader smuggled tons of cocaine and other drugs into the United States, generating billions of dollars in illegal profits over more than two decades. The jury in Guzmán’s federal trial agreed last week, voting to convict on each of 10 criminal counts. He still faces charges in other U.S. courts. Officials declared victory, touting the deterrent effect and symbolic value of taking down the world’s most famous drug trafficker. But analysts and researchers on Mexican crime organizations that the actual impact on the transnational drug trade might be minimal. The Sinaloa cartel remains a strong drug-smuggling and violence threat on both sides of the Southwest Border, they say, and a newer, rival crime group, the Cártel de Jalisco Nueva Generación, poses similar danger. “The conviction is a great moral victory for the United States, Mexico and other countries that have been severely damaged by the flow of illegal drugs coming from the flow of Chapo Guzmán and the Sinaloa cartel,” said Mike Vigil, a former chief of international operations for the U.S. Drug Enforcement Administration. “The unfortunate aspect is that the Sinaloa cartel continues to function and is just as powerful,” Vigil said. That new Sinaloa boss isn’t actually new at all. He’s Ismael “El Mayo” Zambada, who was indicted with Guzmán, but never captured. The longtime cartel leader is believed to be living in Mexico, government testimony during the trial showed. Zambada’s son and brother testified against Guzmán during the trial. But Zambada himself remains a force in Mexico, Vigil and other say. As Guzmán’s trial opened in November, the Sinaloa cartel remained prominent in the Drug Enforcement Administration’s 2018 assessment of Mexican transnational criminal organizations. “It maintains the most expansive international footprint compared to other Mexican transnational criminal organizations,” the DEA reported. The Sinaloa cartel still smuggles wholesale quantities of methamphetamine, marijuana, cocaine, heroin and the synthetic opioid fentanyl into the United States through border crossings in California, Arizona, New Mexico and Texas, the DEA said. Distribution is handled through hubs in Phoenix, Los Angeles, Denver, and Chicago, and other cities. Major drug seizures in recent years demonstrate the cartel’s reach. DEA investigators in New York City seized more than 145 pounds of fentanyl in August 2017. The synthetic opioid is 50 times more potent than heroin and 100 times more potent than morphine, according to the Centers for Disease Control and Prevention. Linked to the Sinaloa cartel, it was the largest fentanyl haul in the United States up to that time, the DEA said. The Ventura County, California, Sheriff’s Office arrested 13 suspects with alleged Sinaloa ties in October 2018. Detectives seized 161 pounds of methamphetamine, 121 pounds of cocaine, 13.2 pounds of heroin and 6.6 pounds of fentanyl – a haul with a combined street value of more than $10.8 million. U.S. Customs and Border Protection officers reported a record load of hidden fentanyl last month at the border crossing in Nogales, Arizona. They say they discovered nearly 254 pounds of the opioid hidden in a special floor compartment of a tractor-trailer truck carrying a load of cucumbers from Mexico. The compartment also held almost 395 pounds of methamphetamine, they say, bringing the combined street value to an estimated $4.6 million. Driver Juan Antonio Torres Barraza, a Mexican national, was arrested on drug charges. He said he had no knowledge of the illegal cargo. The case against Torres is still at an early stage, and federal investigators have not yet publicly linked the incident to a specific Mexican drug cartel. David Shirk, director of the Justice in Mexico project at the University of San Diego, says the Sinaloa cartel and its rivals plunged into the growing fentanyl market after Guzmán’s reign peaked. “Fentanyl is shaping the drug trade in Mexico today,” said Shirk. “It’s cheaper, and so much more potent. With a small amount of fentanyl, you can make the same profit” as with cocaine or other drugs. By many accounts, the Cártel de Jalisco Nueva Generación is vying with the Sinaloa organization for market share. 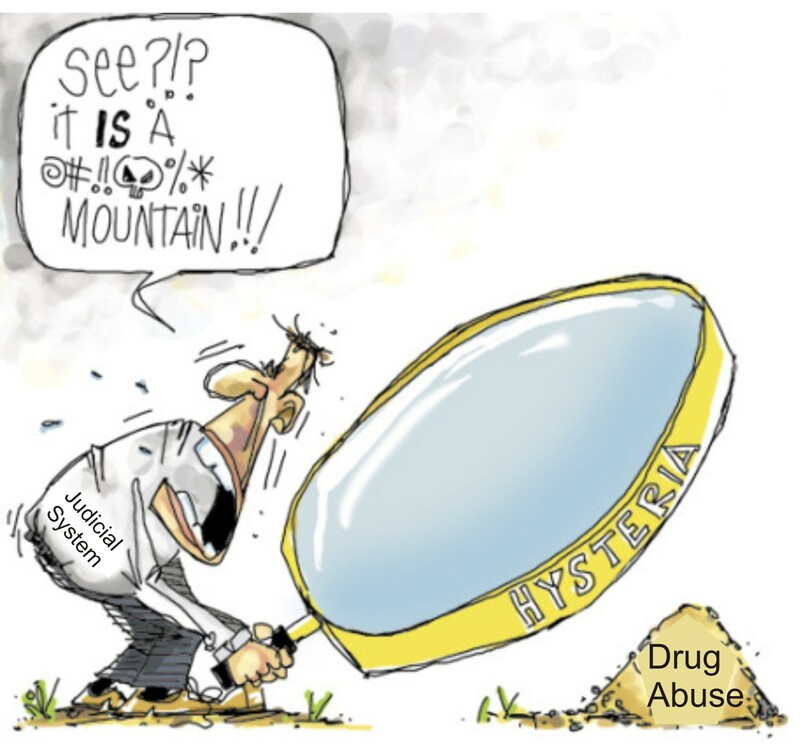 Described by the DEA as “one of the most powerful and fastest growing cartels in Mexico and the United States,” the organization maintains drug distribution hubs in Los Angeles, New York, Chicago, and Atlanta. It smuggles drugs through several border cities, including Tijuana, Juarez, and Nuevo Laredo, the agency said. Nathan Jones researches drug policy and Mexican security issues at Sam Houston State University in Texas. He says the Cártel de Jalisco Nueva Generación began a rapid rise in 2010 – aided in part by the U.S.-Mexican strategy of targeting drug kingpins that captured Guzmán. The group enlisted “orphan” criminal cells left by the fragmentation in Mexico’s organized crime groups, Jones wrote in a study last year. 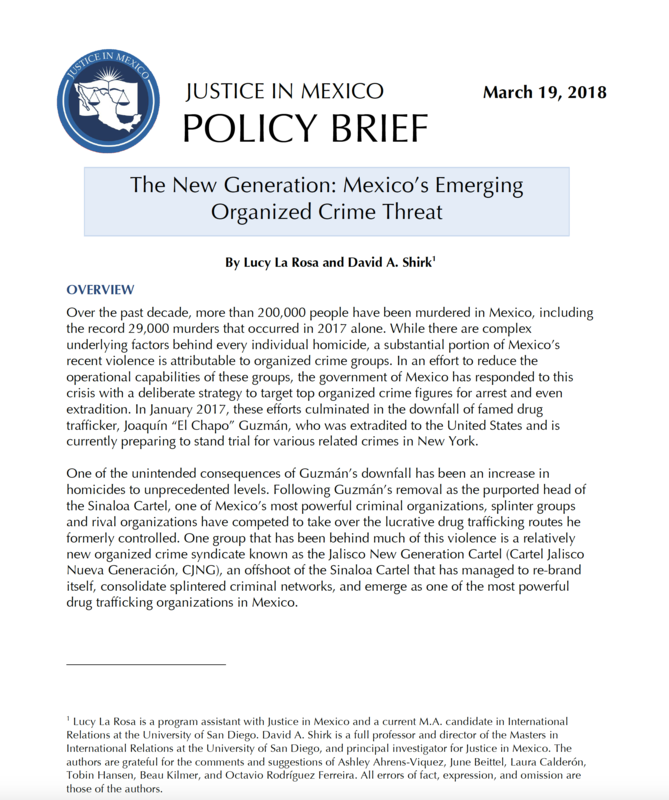 The rise of the new cartel shows how organized crime groups adapt after leadership structures have been disrupted, Shirk and co-author Lucy La Rosa concluded in a separate study, also released last year. The organization now rivals the Sinaloa cartel as the primary suspects in smuggling fentanyl across the Southwest Border, the DEA said. The Cártel de Jalisco Nueva Generación is also suspected of smuggling “high heat” cocaine, a high-end product reported as more than 97 percent pure. Investigative reporting from San Diego “identified a wholesaler operating between Tijuana, Mexico and San Diego who was seeking to import ‘High Heat’ cocaine into the U.S. supplied by CJNG for prospective clients,” the DEA reported. Federal authorities in North Carolina charged six suspects last week with conspiracy to possess and distribute methamphetamine and cocaine. A confidential informant linked the alleged trafficking to the CJNG, authorities said in a court filing. The Treasury Department targeted alleged Jalisco Nueva Generación leader Nemesio “El Mencho” Oseguera-Cervantes under the Foreign Narcotics Kingpin Designation Act in 2015. Oseguera and 10 other alleged members of the cartel were charged in new or superseding drug-trafficking indictments in October. But U.S. efforts to break or disrupt the alleged criminal organization could prove difficult. In recent years, the cartel has diversified its operations, reportedly making drug trafficking just part of its income stream. “Kidnaping and extortion have become part of the business model,” along with tapping into fuel lines in Mexico and “forcing businesses to sign contracts with vendors favored by the cartel,” Jones said. I think that they money of his that was seized should be spent on building the wall. It isn’t taking from the government or anyone else, use it wisely.